You are here: Home / Blog / Instagram Marketing Tip: Have you heard of Linktr.ee for your Instagram Bio? Instagram Marketing Tip: Have you heard of Linktr.ee for your Instagram Bio? 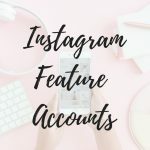 Hi, it’s Jennifer here, providing you with all your Instagram Marketing needs! I found this awesome tidbit for Instagram this week it’s called Linktree (www.linktr.ee), and it’s completely free. We all know that you are only allowed ONE link per Instagram Bio. Not anymore! With this Instagram Marketing app – Linktree allows you to have more than one link available to your followers. You can see mine is now: www.linktr.ee/instantbossclub . Let me show you what this incredible Instagram Marketing tool does for your Instagram profile. When you click on my link www.linktr.ee/instantbossclub you will be taken to my Linktree page and from this page, my followers can click on multiple links. My followers can see my Free Instagram Challenge, check out the Hashtag Library, Learn more about the club, join my free Facebook group, and check out stock photography. Each button will take the person directly to that page! So, before we only had the one link in our Instagram bio and now with Linktree, you can have more than one. How do you sign up with Linktree? You will sign up with your Instagram account at linktr.ee once you sign up you will be taken to your new Linktree home page where you can now add new button/link. How do you add new button/link with Linktree? Copy the URL that will be linked to the button and paste it into the URL section below the title. Once you are ready to make your button active use the little slider after the title and move it to show green. Your link is now live on your Linktree page. What’s really cool is you can see how many times people have clicked on these links showing you if your Instagram is working, is it bringing you traffic, is it worth your time or are you even doing it right? Now that you’ve created all the links you want for your Linktree page you go back to the top to where it says “My Bio Link” and then copy and paste this new link into your Instagram Bio. Just in case you forgot or don’t know how to put the link into your Instagram Bio. Simply go to Instagram, click on edit profile, and just under your username, you can paste the link. Super easy, simple as that and you now have multiple links for your followers from the one link allowed by Instagram! I hope you enjoyed this Instagram Hack and have fun building your Linktree. Could you accomplish the same thing by creating a mobile friendly landing page on your website? This is so cool! I’ve never heard of Linktree, but it looks as if it simplifies and is more convenient! Thanks for the tip! Great post! I love using linktree for my instagram! I thought that Instagram was cracking down on people who use app and other modes to increase likes and such. Is this something different? I have never used anything to increase likes and such. Just think they should be organic. Maybe this is something different? I have had Linktree as part of my IG bio for several months. I’m not sure what it’s done but, I think it is terrific! There is also a Site called Fololink.com where you can also add multiple links and the amazing feature is they are providing Verification Badge also.